Is it “hyper-critical” to approach ancient historians like Livy, Plutarch, …. with caution? In response to my previous post on why I do not think of myself as a “Jesus mythicist” one person insisted that we have every right to accept the words of Tacitus and Josephus about some incident that they say happened a couple of generations earlier. Here is my detailed response. Yet a Livy or a Plutarch cheerfully repeated pages upon pages of earlier accounts over which they neither had nor sought any control. . . . Only Thucydides fully and systematically acknowledged the existence of a dilemma, which he resolved in the unsatisfactory way of refusing to deal with pre-contemporary history at all. . . . .
Where did they [ancient historians like Tacitus and Josephus] find their information? No matter how many older statements we can either document or posit – irrespective of possible reliability – we eventually reach a void. But ancient writers, like historians ever since, could not tolerate a void, and they filled it in one way or another, ultimately by pure invention. The ability of the ancients to invent and their capacity to believe are persistently underestimated. . . . . I suspect that Ogilvie’s slip reflects, no doubt unconsciously, the widespread sentiment that anything written in Greek or Latin is somehow privileged, exempt from the normal canons of evaluation. . . . Unless something is captured in a more or less contemporary historical account, the narrative is lost for all time regardless of how many inscriptions or papyri may be discovered. . . . . So when men came to write the history of their world, Greek or Roman, they found great voids in the inherited information about the past, or, worse still, quantities of ‘data’ that included fiction and half fiction jumbled with fact. That is what modern historians, unwilling for whatever reason to admit defeat, to acknowledge a void, seek to rescue under the positive label, tradition (or oral tradition). Few anthropologists view the invariably oral traditions of the people they study with the faith shown by many ancient historians. The verbal transmittal over many generations of detailed information about past events or institutions that are no longer essential or even meaningful in contemporary life invariably entails considerable and irrecoverable losses of data, or conflation of data, manipulation and invention, sometimes without visible reason, often for reasons that are perfectly intelligible. With the passage of time, it becomes absolutely impossible to control anything that has been transmitted when there is nothing in writing against which to match statements about the past. Again we suspect the presence of the unexpressed view that the traditions of Greeks and Romans are somehow privileged . . . . There is no guarantee that the tradition has not arisen precisely in order to explain a linguistic, religious or political datum; that, in other words, the tradition is not an etiological invention . . . . Some of the supposed data are patently fictitious, the political unification of Attica by Theseus or the foundation of Rome by Aeneas, for example, but we quickly run out of such easily identified fictions. For the great bulk of the narrative we are faced with the ‘kernel of truth’ possibility, and I am unaware of any stigmata that automatically distinguish fiction from fact. . . . .
For reasons that are rooted in our intellectual history, ancient historians are often seduced into two unexpressed propositions. The first is that statements in the literary or documentary sources are to be accepted unless they can be disproved (to the satisfaction of the individual historian). That’s what I posted on the BC&H Forum. Finley is not a lone voice, however. The historian of ancient documents needs first to study the nature of those documents and to try to understand what they are capable of revealing. That means literary criticism. ‘Our primary response to the texts of the ancient historians should be literary rather than historical since the nature of the texts themselves is literary. Only when literary analysis has been carried out can we begin to use these texts as evidence for history; and by that time . . . such analysis will have revealed that there is precious little historical evidence left.’ . . . .
Modern historians naturally dislike such views, because they challenge the very basis of ancient history as an intellectual discipline, since the ‘evidence’, at almost all periods, consists overwhelmingly of literary texts. While most historians concede that ancient historiographical texts are in some senses ‘literary’, they nevertheless insist that this ‘literary’ aspect is detachable and there is solid fact underneath. 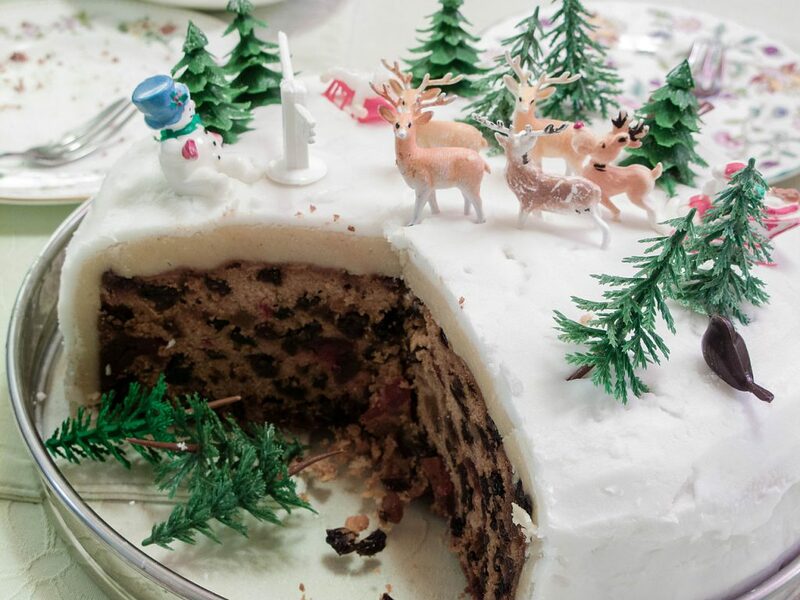 On this view, ancient works of historiography are like Christmas cakes: if you don’t like almond icing, you slice it off, and you’ve still got a cake—a substantial object uncontaminated by icing. Compare “the nugget theory” of ancient history. Later in the same chapter . . .
Do ancient historiographers sometimes say things they know to be factually untrue? Emphatically, yes. The accusation of deliberate fabrication is made repeatedly. Herodotus is dubbed the father, not only of history, but of lies; Polybius castigates historians not only for incompetence, but falsehood; Lucian tells of historians who claimed to be eye-witnesses of things they could not possibly have seen; invention and manipulation of factual material is (I believe) demonstrable in Herodotus and Plutarch, as well as Hellenistic tragic historians. The motives vary: some, of course, crudely political — propaganda, flattery, denigration; literary rivalry (to trump one’s predecessors, of which we have seen examples even in Thucydides); the desire to spin a good yarn (often important in Herodotus and other historians of the exotic); sometimes (surely) historiographical parody; sheer emotional arousal or entertainment; the need to make moral points or bring out broader patterns or causes behind complicated sequences of events. Why then do Herodotus and Plutarch behave in this way? Serious ancient historians (which both Herodotus and Plutarch intermittently are) face the problem of the eternal see-saw of history: the need to generalize from specifics. No serious ancient historian was so tied to specific factual truth that he would not sometimes help general truths along by manipulating, even inventing, ‘facts’. Of course, the requisite manipulation could sometimes be achieved through the medium of ‘what-is-said’ material, to whose historicity the ancient historian did not commit himself. But there were some occasions when the issues were so serious that it was rhetorically necessary, even at the risk of attack, to maintain the illusion of strict historicity. On those occasions the historian could never admit to manipulation or invention. Such is the tyranny of factual truth. It takes no great effort to refute him — he’s a historian. Finally from T.P. Wiseman, “Lying Historians: Seven Types of Mendacity” in Lies and Fiction …. Wiseman cites another ancient historian, Arrian, who explains the criteria he used in deciding what stories to write about Alexander the Great. 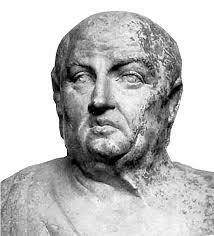 Everything concerning Alexander which Ptolemy and Aristobulus have both described in the same way I have reproduced as being true in every respect; when they have not given the same account, I have chosen the version which seemed to me more worthy of belief and also more worthy of telling . . . Other incidents recorded by other writers, because they seemed to me in themselves worthy of telling and not altogether unworthy of belief, I have reproduced as being merely ‘reported’ about Alexander. Arrian has two criteria for what to include — essentially, credibility and interest, what’s worth believing and what’s worth telling. . . .
Wiseman agrees with one of his peers who suggests that the best way for us today to understand ancient historians is to compare them with the content providers for our modern media. Newspapers had lied to entertain, to compete with each other, to propagate their political convictions, and to persecute those with whom they disagreed. And when there was no other obvious reason, journalists continued to lie simply out of habit. To entertain: delectatio (enjoyment) was accepted as one of the legitimate aims of history. To compete: Josephus (on Greek historians) and Livy and Justin (on Roman ones) make it clear that rivalry with predecessors and contemporaries was a common motive. To propagate political convictions: tendentiousness was endemic in ancient historiography; to the items mentioned above (i.e. “The twin vices of adulation and malice — flattery of a living emperor, execration of a dead one . . .”), add the ‘democratic’ and ‘oligarchic’ treatments of Athenian history that were imperfectly reconciled in the Aristotelian Constitution of Athens. To persecute: malice too was often complained of in historians, as with Timaeus on Demochares and Agathocles, Theophanes on Rutilius Rufus. We are familiar with the claims that the gospels contain a “ring of truth”, that their details speak of genuine reporting. Such a reading is simply naive. Since it was his purpose to emphasize the cruelty of Antigonus and the Macedonians, . . . he introduces graphic scenes of women clinging to one another, tearing their hair and baring their breasts, and in addition he describes the tears and lamentations of men and women accompanied by their children and aged parents as they are led away into captivity. Phylarchus reproduces this kind of effect again and again in his history, striving on each occasion to recreate the horrors before our eyes. This is what we call nowadays ‘good television’. I am complaining that a man has been murdered. Shall I not bring before my eyes all the circumstances which it is reasonable to imagine must have occurred in such a connection? Shall I not see the assassin burst suddenly from his hiding-place, the victim tremble, cry for help, beg for mercy, or turn to run? Shall I not see the fatal blow delivered and the stricken body fall? Will not the blood, the deathly pallor, the groan of agony, the death rattle, be indelibly impressed on my mind? From such impressions arises that enargeia which Cicero calls illustratio and evidentia, which makes us seem not so much to narrate as to exhibit the actual scene, while our emotions will be no less actively stirred than if we were present at the actual occurrence. It is unwise to simply naively embrace whatever we read in the works of ancient historians, especially if they are writing of events of a generation or more earlier and for which we can only speculate about sources they may or may not have used, and the origins of the stories they narrate. For those wondering what the “seven types” of lies in the title of Wiseman’s chapter are. The first is easy: deliberately false historiography is still all too familiar, exemplified in its extreme form by Soviet histories of the Soviet Union. The second and third types, marked as they are by fantasy and ‘events against nature’, correspond respectively to ‘sword and sorcery’ novels in the Tolkien tradition, and to science fiction. The fourth is clearly ‘docu-drama’ or ‘faction’, that hybrid genre that intermittently exercises media consciences. As for the fifth, most people, then and now, are content with aphegesis [i.e. “story-telling”] and have no notion of historia; we all have in our heads an amalgam of information and misinformation from all kinds of sources which passes for a view of the past. . . . So my two final types of historical mendacity, deliberately antithetical, mark the extremes of the familiar and the alien in ancient attitudes to historiography. They are, respectively, lies defined as too much detail, and lies defined as not enough. . . .
For the rhetoricians, this technique was a means of achieving enargeia, the vividness that compels belief. . . .
Posted on 2017-12-10 21:15:49 GMT+0000 by Neil Godfrey. 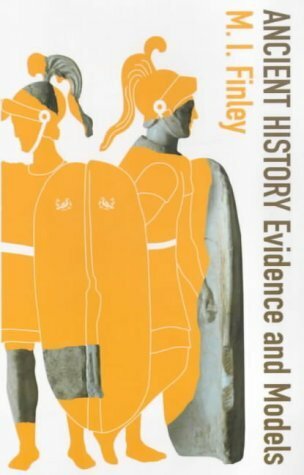 This entry was posted in Ancient historiography and tagged Ancient historians, Historical Method, Moses I. Finley. Bookmark the permalink. We keep saying, again and again, that for the most part what biblical scholars do would not be recognized by historians as anything resembling history. Their ignorance of how careful historians treat their sources and their unawareness of even rudimentary methodology leads them to lash out, because they think we want to hold the Bible to a higher standard. Certainly much can be criticized with respect to past method and results when the biblical texts have been utilized in the course of historical inquiry. Whether the texts ought not now be regarded as essential data in such historical inquiry-as witnesses to the past they describe, rather than simply witnesses to the ideology of their authors-is another matter. The assertion or implication that scholarship has more or less been compelled to this conclusion partly as a result of what we now know about our texts is commonplace in recent writing about Israel and history. In the midst of all this assertion and implication, however, the question remains: given that Hebrew narrative is artistically constructed and ideologically shaped, is it somehow less worthy of consideration as source material for modern historiographers than other sorts of data from the past? Nobody does victim speech better than biblical scholars pushed against the ropes. Excellent. And the New Testament authors do not even pretend to be objective historians Their purpose was to spread the “good news” of their new religion. It would seem that we should be especially skeptical of their accounts. The value of such accounts is in revealing the beliefs and thoughts of the writers. If we’re trying to know if Jesus walked on water, or if he even existed the NT is not a trustworthy source. If, however we are trying to understand the beliefs that conquered the Roman world over the next three centuries, the books of the NT are primary source material. It might inform our perspective to step away from biblical studies for a moment. Readers outside the UK may be unaware of the focus on Roman Britain in the teaching of ancient history over here, for which Tacitus’ biography (sic) of his father-in-law Agricola has been treated as ‘gospel truth ‘ in textbooks. I recommend reading Birgitta Hoffmann’s entertaining lecture “Archaeology versus Tacitus’, to be found at theromangaskproject.org. She demonstrates how the text has been used as primary evidence, with archaeological evidence selectively mined only to ‘elucidate’ the text, so doing violence to the very different account suggested by the actual primary evidence. Quite apart from the corrupt manuscript tradition, she makes the essential point: ” Less straightforward is the question of what the ‘Agricola’ actually is”. Literary analysis shows that the rhetorical argument is the main focus; at best, possibly factual information is introduced in a form and order which illustrates the argument. She concludes, eirenically: “The history and archaeology…would be more interesting for everyone concerned if we ‘let go of Tacitus’ hand and started behaving like grown-ups’…using whatever means are appropriate to the source material to gain a better understanding of the period, using textual criticism, archaeological analysis and literary studies as equal partners, working independently and at frequent intervals comparing the results”. Most Excellent Neil and Tim. You have brought much clarity to the discussion. You both deserve a nice bottle of wine. “When Phaedrus points out that Socrates has made up the ‘Egyptian’ legend he tells, Socrates replies, tartly, that what matters is not the source of such a story, but the truth or falsity of the idea it conveys (275 b-c). This is, in effect, to concede the falsity of the story as historical narrative, a point also signalled at the start of the story (Gill, “Plato On Falsehood – Not Fiction (58)”.